Lo and behold! With me here is the Nokia Lumia 800, the first fruit of Nokia and Microsoft partnership, boldly claiming to be different and worthy of your attention over the popularity of Android and iPhone’s market dominance. 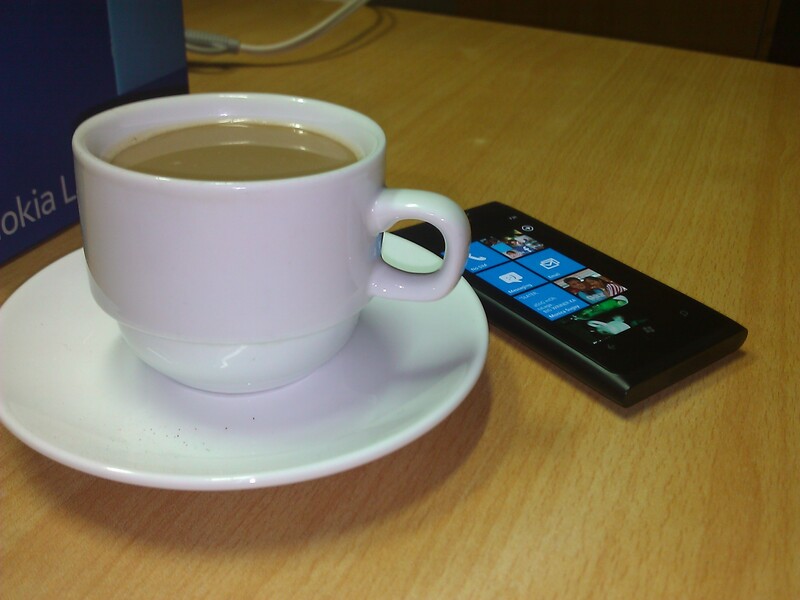 Lumia 800 came to me before easter holiday and I’m so happy to spend a week long vacation with it. Without further ado, let me tell you my personal take on the new comer. Nokia, as I have observed this past few months, has been in the brink of losing its own brand-loving followers. We’re in a new generation of techno-geeks who crave for the best smartphone out there, as well the modern-fashionists group that highly regarded the elegance and beauty of iDevices. Yet Nokia, in desperation, proudly proclaimed their union with Microsoft for the coveted ecosystem they may offer. Luckily, Carlo at unbox.ph has lent me a review unit of Nokia Lumia 800 where I was able to spend much time using the phone at home and at work. Most of my friends knows how loyal I am as a Windows Phone 7 fan. Last year I traded my Samsung Galaxy Tab P1000 for an innocent HTC 7 Mozart. I take pride in my Samsung Galaxy Tab before, for it’s a great compromise between a portable tablet and a mobile phone. The first generation of Samsung’s tablet has fulfilled my cravings for a portable device that I can do productive work and at the same time an excellent communication device paired with a bluetooth headset until my curiosity of Microsoft’s bold attempt of reinvigorating its smartphone OS caught my attention. It’s a smartphone which seems no one I know cares of owning due to software features, customizability and ecosystem, but for me it seems a good compromise for the benefit of stability and simplicity. Android OS never delivered that to me and so I thought maybe this new Windows Phone 7 OS might do the job. 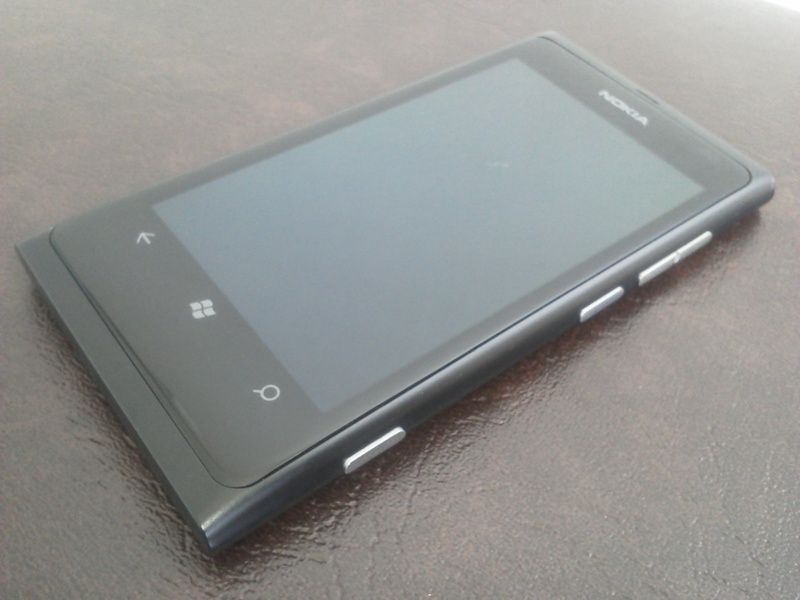 Fast-forward after almost a year of owning my Mozart, here comes Lumia 800 in front of me. This device is an absolute beauty in black with astounding build quality non-comparable to Samsung devices I’ve held before as well as other smartphones I chanced to hold at stores and from friends. Certainly, the next phone I would definitely call my own and recommend is here in front of me. 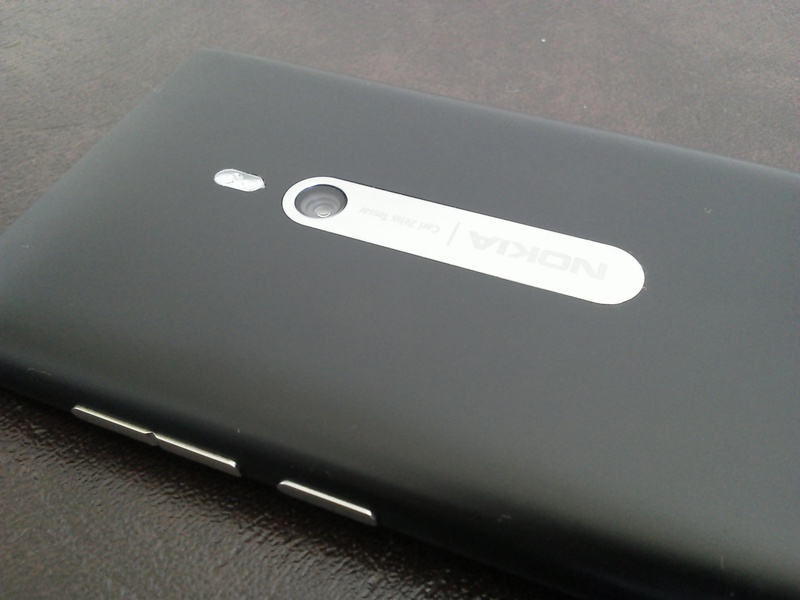 Nokia Lumia 800 is housed in a unibody polycarbonate body with curved and durable glass in front. The device is an extreme engineering beauty. Lumia 800 was designed to showcase the ability of Nokia to carve an amazing phone that is equal if not more than elegant than Apple’s long-successful series of iPhone. During my day-to-day use, I was able to squeeze almost 1 and half day of moderate usage. My usual usage includes streaming of audio podcast during travel, occasional youtube during lunch time, constant connection to push email and chat, and occasional web browsing. My 3G data is constantly on until I went home where WiFi takes over. 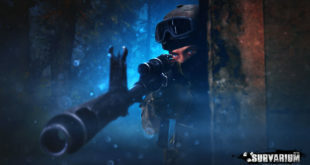 I’ve no problems with applications available at Marketplace as currently most of what I need is already built-in or at least ready for download. Though I’m still disappointed that one of my favorite Android app is still missing, the CNet apps. 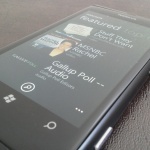 Windows Phone 7 already supports Podcast built right into it with the ability to subscribe and automatically download them. Email is top-notch! More than I would ever need. 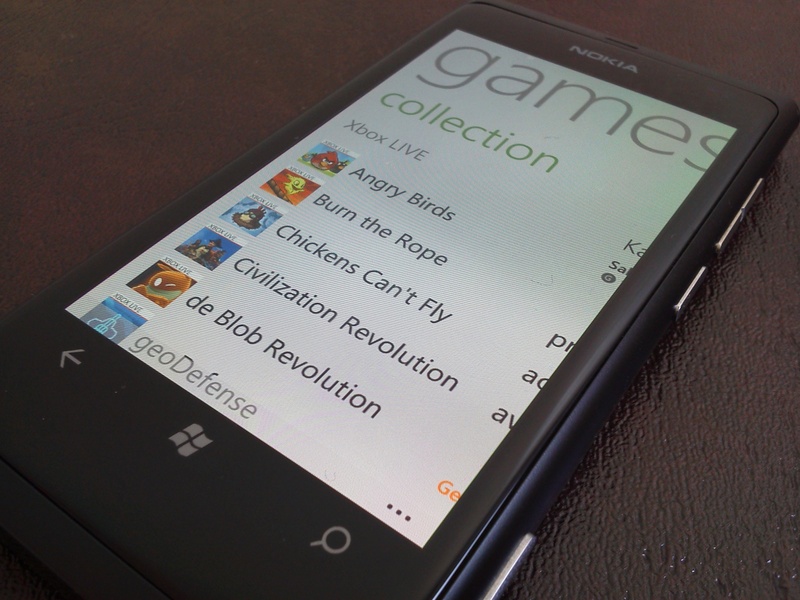 Nokia Lumia 800 with Windows Phone 7 is a great combination and a bit step-up from their old Symbian offering. I’ll admit that Nokia constantly updates they Symbian line but they will never meet the ecosystem which is becoming significant. 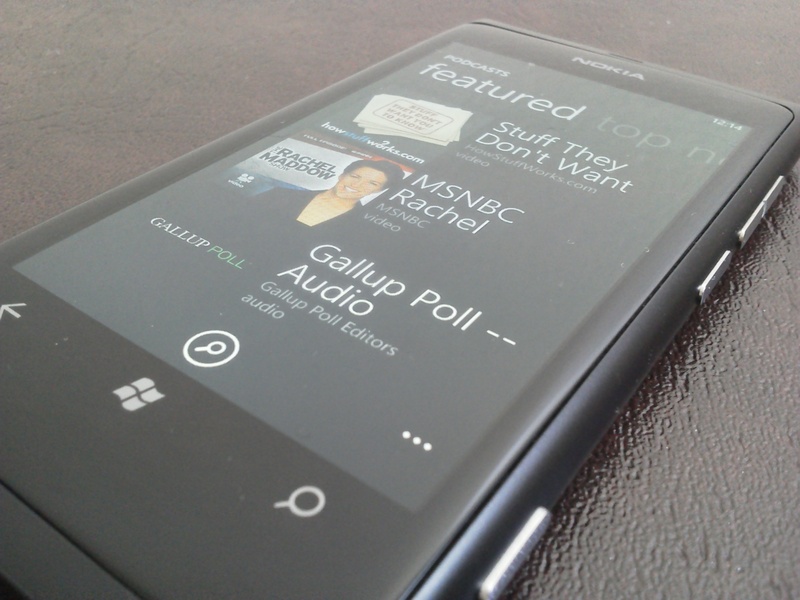 The design of Lumia 800 totally represents the elegant and boldness of the Metro style of Windows Phone 7. I say this is perfect for me which emphasizes minimalism and simplicity without sacrificing functionality. 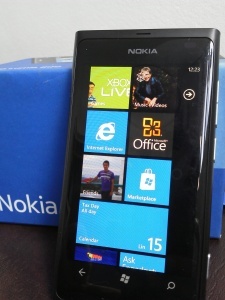 I think starting this April, Globe and Smart will start offering the Lumia series of phones while the higher end Lumia 900 accompanied with the affordable Lumia 610 will arrive later this May. I’m looking to get one Lumia hopefully right after one arrives to replace my aging Mozart. No, I will not consider an Android not because I’m biased but because all I wished for my most used gadget is its ability to do its job immediately without the necessity of tweaking just for the sake of meeting my demand.